I’ve been visiting Sheffield on and off for the last six years. Luke’s mum is here and it’s always been our base for staying in England and exploring the rest of the UK. Until recently, we usually spent most of our free time escaping Sheffield. We’ve had long weekends in York, Liverpool, Manchester, and the Lake District. We spent a week in Scotland once, try to head down to London at least once every time we’re here and the rest of our time is spent walking and exploring the countryside of Yorkshire, Derbyshire and Nottinghamshire. We never actually explored Sheffield. Despite the fact that Luke spent summers here during university, he knows very little. I decided this time around, these six months that we were here, that I would properly get to know this city that I’ve been to so many times. I wanted to meet some locals, find the best pubs, cafes and things to do in Sheffield. Tamper is undeniably delicious. It’s the sort of place that serves food on slates and rustic chopping boards. Their coffee is arguably the best in town and their outdoor courtyard wins for the best dining option on a sunny day. It’s my favorite lunch option in the city and one I could happily eat at every day (and order 2-3 coffees whilst sitting there). In the same neighborhood as Tamper, Silversmiths is the best place for your evening meal. They source as much as they can locally and the menu changes frequently based on what’s in season. That same respect is poured into everything that make and it’s place that at the same time feels fancy and yet like you are right at home. 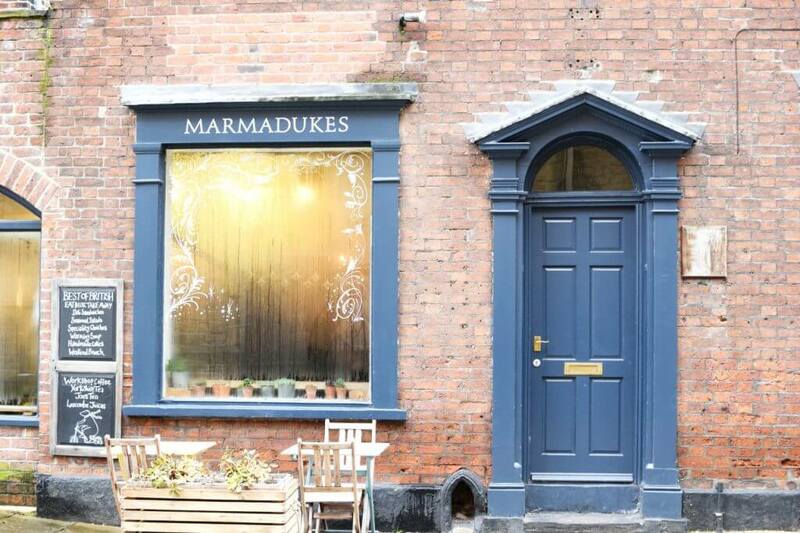 Battling Tamper for the best coffee in town, Marmadukes wins out on brunch every time. Their campfire beans, their sandwiches, their fresh baked delights, their eggs on toast, all of it, I want to eat all of it. The cafe is rustic with Spanish style tiles that fill my Instagram feed and a comfortable and friendly atmosphere that means you want to sit around and sup your cuppa for hours on end. Why do I have to choose between all of my favorite cafes? Steam Yard steal the show on desserts. Their coffee and doughnut combos make me weak and are the perfect afternoon pick me up. Ok, I’ve also had them in the morning. They are the best doughnuts I’ve had outside of the US and better even than most that I’ve had there. They also do sandwiches and soups and delectable coffee. And brownies, their brownies are the kind that you close your eyes to eat. I discovered on a day out in Sheffield that the city used to have the largest number of breweries in the country. It’s working hard to earn that name back and is often referred to as the beer capital of England. 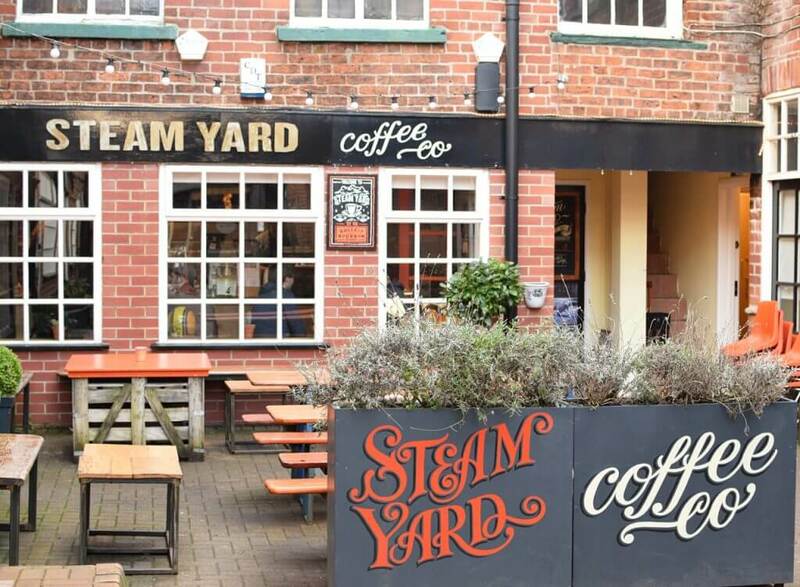 The perfect place to try Sheffield’s own Kelham Island Brewery, they have constantly rotating taps and pulls full of really delicious local beers. 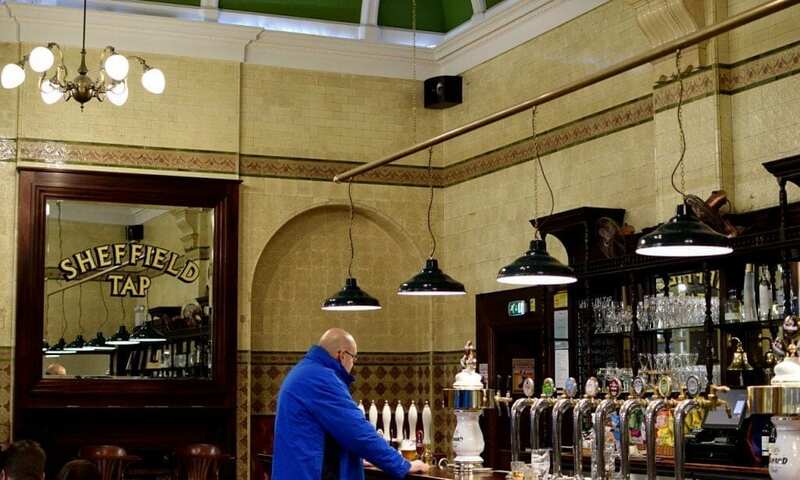 It’s a great spot to chat to the locals or simply enjoy a few pints with your friends. Attached to the main train station with a view of the platforms makes this an incredibly popular spot, especially for the afterwork crowd. It has a huge outdoor space for sunny days and warm evenings and ever changing taps full of Yorkshire beers. Every time I’ve visited there have been new and tasty craft beers to sample. If your grandpa lived in Sheffield, he’d probably drink here. It’s definitely not the place to catch up with the hipsters of Sheffield, but that’s okay with me. This pub is full of storytellers, and when they hear there’s an American inside they can’t wait to chat. The other thing that makes the Brown Bear so attractive is that it’s the cheapest pint of ale in town. It’s less than £2 which is basically unheard of even at pubs outside the city center. I haven’t tried their Mexican food, but their beer garden gets the sun all afternoon and they always carry a good Yorkshire beer on tap. There are often events in the evenings, and always on the weekends, thanks to the huge student population at this end of the city. This is a huge venue that gets going in the evenings. I prefer it mid afternoon on a warm day when all the of windows are slid open and you can setup on a comfy couch. The 2-4-1 burger deal on a Tuesday is pretty spectacular, too. 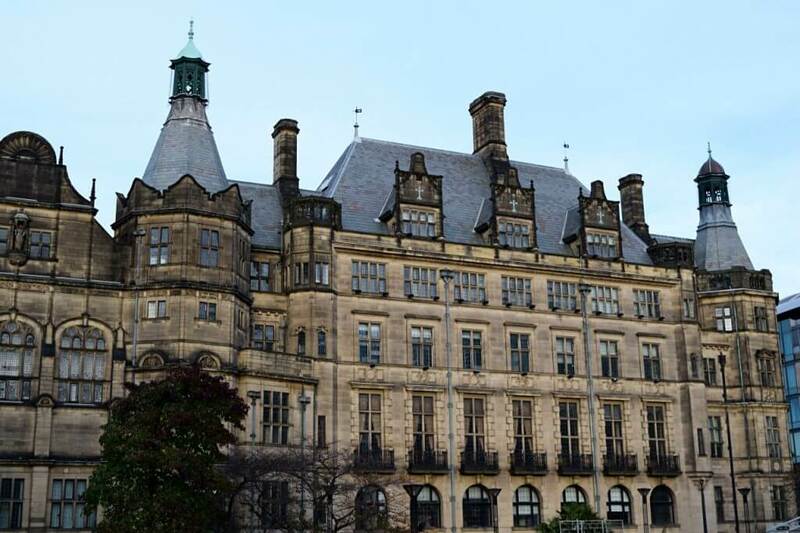 If you want to learn about the history of Sheffield, this is where you need to start. It has loads of information about the steel industry that boomed in Sheffield as well as fun facts and interactive areas where you can learn what else was produced in Sheffield. This gallery is a lovely ode to Sheffield. With a collection of steel made in the city – cutlery and the famous Sheffield knives. There is a lot of information about the city’s past in this section. There are ever changing exhibits with different local and national artists, so it’s easy to come to the gallery every few months and experience something totally new. This is a lovely indoor garden space with the warmth of a greenhouse without the fogged up glasses. There are benches scattered throughout and a cafe at one end so you can grab a coffee and enjoy it with the sun filtering though the glass, even in the middle of winter. The cathedral is a beautiful part of the city center. I walked in once to have an explore and I accidentally timed it with evensong the weekend before Christmas. I sat at the back and really enjoyed listening to the sounds of the choir. I highly recommend it. It’s a great opportunity to see the inside of the cathedral and take part in the city. I know I’ve only just scratched the surface of all that Sheffield has to offer. 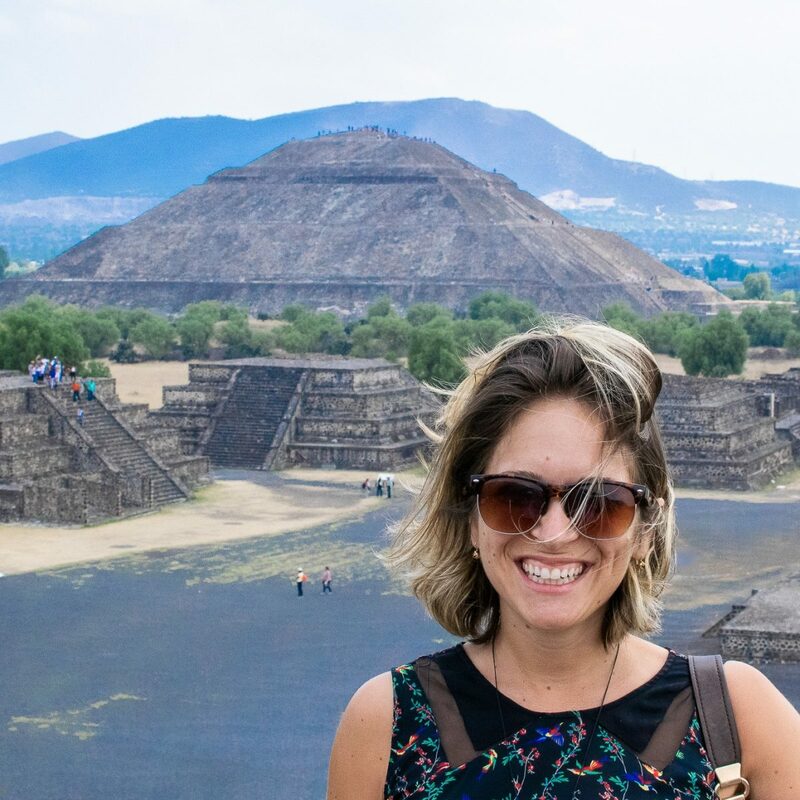 It’s more than worth it to spend a few days visiting this incredibly cool city full of history. What did I miss? Where else do I need to go in Sheffield? I’d love to hear about it in the comments! I Want to Travel the World: Where Do I Start? Really love these monthly updates! I’m in a similar situation to you starting a blog and will be moving to mexico in 2 months.